This section describes nine countries during the revolution era covered in the David Edgar trilogy of plays. 1939 – Italy invades and occupies Albania. 1943 – The Italian army retreats, but their retreat is quickly followed by a German invasion and conquest of Albania. 1944 – The anti-fascist National Liberation Movement, led largely by the Albanian Communist Party, expels the Germans. Unlike many other countries in Eastern Europe, Albania was not liberated by the Soviet Union. 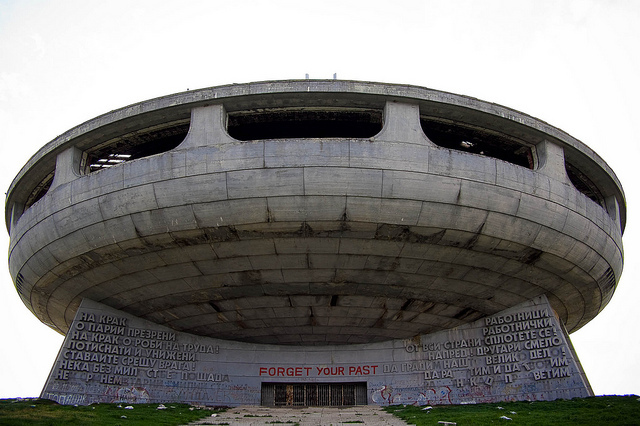 With the Germans gone, Enver Hoxha begins Albania’s rapid conversion to the Communism. 1948 – After initially relying heavily on support from Yugoslavia, Albania breaks its ties with its neighbor and allies itself with the Soviet Union. 1961 – Albania ends its relationship with the Soviet Union and allies itself with China. 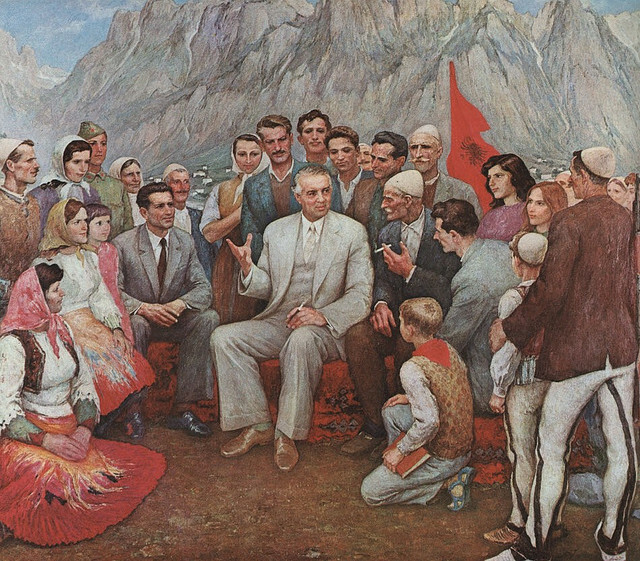 1967 – Hoxha proclaims Albania the world’s first atheist state. 1968 – After the Soviet invasion of Czechoslovakia, Albania becomes the only nation to withdraw from the Warsaw Pact, a collective defense treaty among the European Communist states. 1978 – After nearly a decade of disagreements, Albania ends its relationship with China and becomes completely isolated internationally. This proves disastrous for the economy and quality of life in the country. 1981 – Mehmet Shehu, Albania’s second most powerful political figure since the 1940s, commits “suicide.” Most believe his death was ordered by his long-time friend Hoxha and made to look self-inflicted. 1985 – Hoxha dies and is replaced by the more moderate Ramiz Alia. 1989 & 1990 – The government enacts a series of reforms that it hopes will be enough to calm the masses. These reforms include allowing certain religious practices, loosening travel restrictions, permitting some free market activity, and sanctioning the formation of other political parties. 1991 – First multi-party elections held, but the Communist faction retains power. 1992 – New elections are called after social conditions continue to deteriorate. This time the Democratic Party wins, and their leader, Sali Berisha, assumes the presidency. 1992-97 – There is widespread violence, looting, and chaos as Albania struggles to make a successful transition to capitalism. 1997 – Berisha steps down after multiple corruption scandals and years of economic troubles. 1998 – War in Kosovo begins. 1999 – War in Kosovo ends. Under Communist rule Albania was known for being the most isolated and most anti-religious country in the Eastern Bloc. Between 1946 and 1985, Albania was ruled by the dictator Enver Hoxha. For much of his rule, Hoxha relied on the support of a Communist ally (first Yugoslavia, then the USSR, and finally China) to prop up his country’s economy with goods and favorable trade agreements. When Hoxha burned all those bridges by the late 1970s, Albania was forced into intense international isolation. Perhaps because it was so isolated from other countries in the Eastern Bloc, Albania was the last East European country to transition out of Communism and into Capitalism. While some reforms happened in 1989 and 1990, the real transition did not take place until 1991 and 1992. Albania’s transition out of Communism was not easy. Many Albanians desperately fled the chaos for Italy and Greece. Some successfully immigrated, but many were sent back to Albania where economic and civic chaos reigned for much of the 1990s. In recent years Albania has begun to stabilize and is now seeking greater integration into modern Europe. Enver Hoxha (1908-85) – Hoxha was the face of Communism in Albania. He was also one of the most brutal Communist dictators in Eastern Europe. An admirer of Stalin’s, Hoxha never hesitated to exile, imprison, or execute his rivals. Hoxha also cemented his popular support and suppressed dissent with his fiercely nationalistic rhetoric. In spite of his brutality, many Albanians still think fondly of him because of the tremendous improvements he made to Albania’s education and healthcare system. Ramiz Alia (1925-2011) – Alia took over the leadership of Albania after Hoxha’s death in 1985. Although more moderate than his predecessor, Alia was still inextricably linked to the brutal Communist regime. He did his best to help Albania transition from Communism to a free market economy and from a one-party state to a multi-party democracy. He was ultimately undone by his party affiliation and the economic collapse that accompanied the dissolution of the state-controlled economy. In 1992 he stepped down as the country’s leader. Sali Berisha (b. 1944) – When he assumed the presidency in 1992, Berisha became the first Albanian leader not affiliated with the Communist Party in almost 50 years. Berisha’s first term in office was disastrous. He used many of the same intimidation tactics employed by the Communist regime in the preceding decades. He also presided over the country’s descent into economic chaos. Crime, poverty, and corruption all spiked in the mid-90s. Berisha returned to power again in 2005, and this time he presided over a more stable Albania although accusations of corruption and voter fraud continued to follow him. Ismail Kadare (b. 1936) – (Pictured at left, Murdo MacLeod for The Guardian) Ismail Kadare is the best-known Albanian writer. The censorship of the Hoxha government was so extreme, even for a Communist state, that it made it almost impossible for Albania to grow a vibrant literary and artistic culture. Kadare is the one great exception to this. Kadare is universally admired for his literary talent although his status as a dissident is much contested. 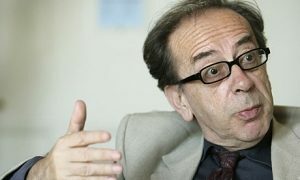 Kadare claims that he did all he could to get his work published and read without facing the firing squad, but his many detractors have labeled him a conformist and supporter of the Hoxha regime. Kadare’s decision to immigrate to France (a place where he claimed he could better protest the Communist regime) in 1990 only intensified the resentment of those who saw him as cowardly. The people of Albania generally fall into one of two groups: Ghegs (those who live north of the Shkumbin River) or Tosks (those who live south of the Shkumbin River). Traditionally, there has been a rivalry between these two groups. The Ghegs resented that the vast majority of the Hoxha regime was comprised of Tosks, and the Tosks disliked that the vast majority of the post-Communist regime was comprised of Ghegs; however, this resentment, while at times producing riots or skirmishes, never mushroomed into the devastating civil conflict that enveloped Albania’s neighbor Yugoslavia. The largest question facing Albania after the fall of Communism was the status of the more than 1 million ethnic Albanians living in Kosovo, an autonomous province in Serbia. Kosovo remains the subject of a territorial dispute between Serbians and the Albanians living in Kosovo. Serbians believe that Kosovo belongs to Serbia while the Albanians in Kosovo (also called Kosovar Albanians) believe Kosovo to be an independent country. In 1998 this dispute erupted into war. The number of deaths caused by the conflict is difficult to calculate, but it certainly totals in the thousands. The war also produced a sizeable number of refugees, many of whom fled Kosovo for Albania. The conflict in Kosovo, though, did help Ghegs and Tosks put aside their differences so that they could lend their full support to Kosovar Albanians. September 9, 1944 – The Fatherland Front, an antifascist movement containing a large Communist contingent, assumes leadership of the Bulgarian government. 1946 – Communists solidify control over the government, pushing their other partners in the Fatherland Front out of power. Georgi Dimitrov, a Stalin ally, assumes the position of Prime Minister. 1947-53 – A series of brutal purges and executions of more independent-minded members of the Communist Party in Bulgaria. 1949 – Dimitrov dies, creating a power vacuum in the government. 1954 – Todor Zhivkov becomes First Secretary of the Communist Party, a position he will retain for 35 years. 1962 – Zhivkov dispatches his two biggest political rivals, Anton Iugov and Vulko Chervenkov. This officially ends the power struggle in the Party after Dimitrov’s death. 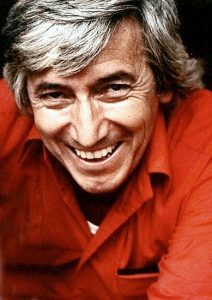 1978 – Assassination of the dissident writer Georgi Markov. 1981 – Bulgaria celebrates its 1300th anniversary with a huge ceremony designed to showcase Bulgarian culture and achievements. 1984 – Following a policy of forced assimilation, Bulgarian Turks respond with protests and violence. The worst violence lasts into 1985. 1989 – Todor Zhivkov resigns. Jan. 1990 – May 1990 – Roundtable talks to form a new government. June 1990 – First elections following the fall of Communism are held. 1991 – Bulgaria adopts a new constitution. During World War II, Bulgaria allied itself with the Germans; however, when the country fell to Russia in September of 1944, it quickly transformed into a Communist state. After World War II, Bulgaria became the southeastern European country most closely aligned with the Soviet Union. This cozy relationship would prove beneficial for the Bulgarians throughout the Cold War. In the immediate aftermath of World War II, Bulgaria followed Stalin’s path. Party leaders imprisoned and executed all possible enemies. This policy changed with Stalin’s death in 1953, after which Bulgaria became more moderate in their approach. In 1954 Todor Zhivkov became the leader of the Communist Party in Bulgaria, and he would remain the dominant figure in Bulgarian politics until the fall of Communism in 1989. During the Communist Period, Bulgaria struggled to industrialize its economy; and this challenge, coupled with civil unrest caused by Bulgarian Turks and environmental activists in the 1980s, eventually toppled the Zhivkov government. Bulgaria’s transition out of Communism was relatively peaceful compared to its neighboring states of Yugoslavia and Romania. Since the fall of Communism, Bulgaria has been a parliamentary democracy. Although many Bulgarians remain unhappy with the economic situation in the country, elections and the transfer of power continue to happen peacefully and without incident. Todor Zhivkov (1911-98) – Zhivkov ruled Bulgaria from 1954 to 1989. He was not excessively flamboyant or charismatic. Although he held power for more than three decades, he was thought of as an apparatchik, a derogatory term that referred to nondescript, mid-level Communist bureaucrats. Under Zhivkov, Bulgaria was relatively stable. He cultivated a respectable tourism industry and did much to improve the education system. Although he imprisoned and even killed some who threatened his power, Zhivkov never approached the brutality of dictators like Stalin, Tito, and Ceausescu. Like other Communist rulers, though, Zhivkov could not survive the inevitable collapse of the Communist economy in the late 1980s. He resigned his position in late 1989. After being ousted, Zhivkov was arrested on a number of fraud charges and placed under house arrest. Liudmila Zhivkova (1942-81) – More beloved than her father, Zhivkova was the public face of Bulgaria around the world. A champion of the arts and Bulgarian culture, Zhivkova did much to bring theater, art, and historical memory back to Bulgaria in the 1970s. Zhivkova also introduced the “Banner of Peace” movement to promote the education of children in Bulgaria and developing countries. Zhivkova’s interest in mysticism and the occult stood in stark contrast to the anti-religious sentiments typically associated with Communism. Zhivkova died at 39 of neurological problems. Following her death many of Zhivkova’s initiatives were cancelled, and her father resumed his more hardline stance. Blaga Dimitrova (1922-2003) – (Pictured at left, Wikipedia CC) Dimitrova was one of the most important Bulgarian poets of the 20th century. Her poetic output was incredibly diverse. She wrote poems about love, feminism, philosophy and politics. The Communist government frequently censored her works. On the day of its publication, all 300,000 copies of Dimitrova’s famous 1982 novel Face were loaded into vans and transported to a special “prison” for banned books. Dimitrova was politically active for a brief period between 1989 and 1993. 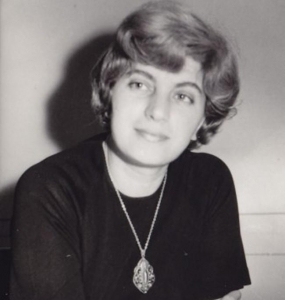 She was instrumental in the movement against Zhivkov, and in 1992 she was elected Vice President; however, she resigned the following year because she objected to the new government’s policies. Georgi Markov (1929-78) – (Pictured at left, National Security Archive) Markov was a prominent writer and critic of the Communist regime. Many of Markov’s early novels and stories were published without censorship; however, his plays were seldom staged and met with more resistance from the government. When Markov defected to the West in 1969, he became an enemy of the state. For most of the 1970s, Markov worked for the BBC and drew the ire of Bulgarian leaders with his merciless critiques of Zhivkov and the regime. In 1978 an unknown government agent assassinated Markov by using an umbrella to inject him with a poison-filled pellet. His memoir, The Truth That Killed, is his most important work and one of the best descriptions of life under Communist rule. Bulgaria’s population is around 7.3 million people. Approximately 85% of those living in Bulgaria are ethnically Bulgarian. There are two major ethnic minorities in Bulgaria: the Turks (approximately 8% of the population) and the Roma (just under 5% of the population). Although the Turkish community initially benefited from the Communist takeover, they eventually became victims of the assimilationist policies of the Communist government. The conflict reached its zenith in the mid-1980s when the Bulgarian government outlawed certain Muslim practices and forced the Turks in Bulgaria to adopt Bulgarian names. The backlash in the Turkish community was violent and sizable, and it was one of the contributing factors to the fall of Communism in Bulgaria. Since the end of Communist rule, the situation for Turks in Bulgaria has improved steadily. They formed a political party called the Movement for Rights and Freedoms (MRF), and this party has been instrumental in winning a substantial increase in civil liberties for the Turkish community in the past 25 years. The Roma, who are often referred to as “Gypsies,” have had a more difficult time integrating into Bulgarian society. 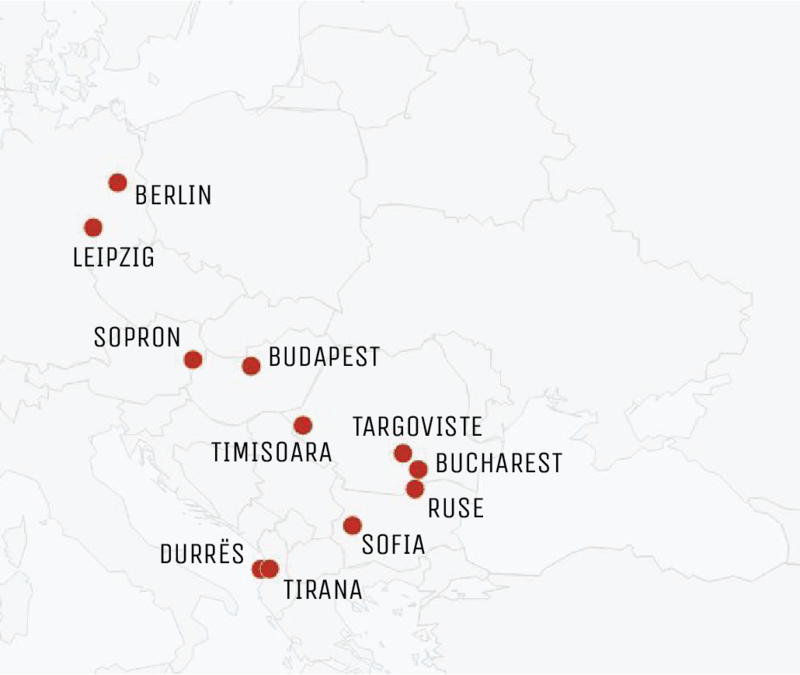 Unlike the Turkish community in Bulgaria, the Roma population has little political clout. Many live in extreme poverty; and although Bulgaria has anti-discrimination laws, the Roma still lack access to quality healthcare, education, and jobs. This de facto segregation has created a situation in which the Roma people frequently find themselves living in ghettos. 1945– Prague captured by Soviet troops. 1946 – Czechoslovak Communist Party (CPCz) leader Klement Gottwald becomes prime minister following national elections. 1952 – Leading Communist figures, including former party Secretary-General Rudolf Slansky, executed having been convicted of treason and espionage at show trials. 1960 – Czechoslovakia becomes Czechoslovak Socialist Republic under new constitution. 1968 August – Troops from the Warsaw Pact military alliance, led by the Soviet Union, invade Czechoslovakia. Dubcek is taken to Moscow and forced to give up the Prague Spring, he then returns and pleads for cooperation in ending the reforms. 1977 – A group of dissidents including playwright Vaclav Havel publish Charter 77 calling for restoration of civil and political rights. 1988 – Mass demonstrations mark the anniversary of the 1968 invasion. 1989 – Peaceful mass protests and strikes gain momentum. The Civic Forum, a broad antigovernment coalition, is formed. CPCz leadership resigns. Federal Assembly abolishes Communists’ constitutional hold on power. 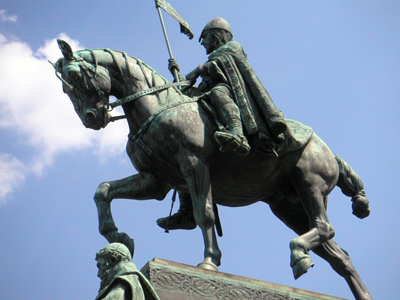 1990 – Country renamed Czech and Slovak Federative Republic. First free elections since 1946 lead to establishment of coalition government involving all major parties with the exception of the Communists. 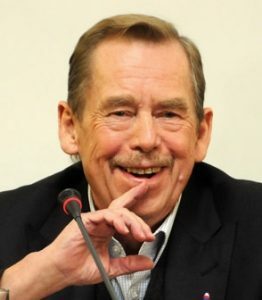 Havel re-elected president. 1991 June – Soviet forces complete withdrawal. 1993 1 January – Czechoslovakia completes “velvet divorce,” which results in two independent countries, the Czech Republic and Slovakia. Václav Havel – (Pictured at left, Wikipedia CC) Havel was a playwright and author who served as the last president of Czechoslovakia and first president of the Czech Republic. He first came to prominence in 1977 as one of the signatories of the Charter 77 manifesto. His plays, which were deeply absurd examinations of life under the Communist regime, were highly lauded in the West and banned at home. His repeated arrests as well as dismissal from various jobs, made him a figure of great sympathy as well. He would be instrumental in leading the Civic Forum during the fall of Communism during the Velvet Revolution. Alexander Dubcek – A Slovak communist, Dubcek was briefly the leader of Czechoslovakia. His attempts to reform the regime during the Prague Spring led to the Soviet invasion which crushed not only the reforms but also his government, leading to economic crisis and mass emigration. Following the fall of Communism, he would be elected chair of the federal parliament. Klement Gottwald – Elected leader of Czechoslovakia in 1946, he led the government as a member of the Communist party. However, it was not until the “Coup of 48” that he managed to establish the Communist party as the sole majority in parliament and establish the constitutionally-protected role the the CPCz in government. When the president, Edvard Benes, refused to sign the new consitution, he resigned and Gottwald took over Presidential functions. Gottwald would be responsible for the purges of non-Communists and those who opposed Stalinist-style governance. Gustav Husak – Husak was first arrested during Gottwald’s purges and spent 1954-1960 in prison, but was then rehabilitated. He became president following the Prague Spring, and was entrusted by the Soviet Union to reinstate the “normal” form of governance as opposed to the reforms. He would serve as president until the end of Communist rule in 1989. Though not homogenous, Czechoslovakia saw little to no violence over ethnic or religious lines following the fall of Communism. Being a federation of two nations, Czechia and Slovakia, there was conflict as the the level of centralization and the role and location of a federal government. Czech political parties had little to no presence in Slovakia, and vice versa. Czech parties tended to favour a tighter form of federation headed from Prague and the Slovaks tended to favour more decentralization. During negotiations, a deal was struck and the federal legislature passed an act dissolving the union in November of 1992, which took effect at the end of the year. It occurred without violence and is thus called the “Velvet Divorce.” Only about 37 percent of Slovaks and 36 percent of Czechs favoured dissolution. The Czech Republic and Slovakia today have joined the EU and have fully integrated market economies and civil societies. Slovakia has adopted the Euro as official currency, and the resort area in the Carpathian mountains is a popular tourist destination. Though income and GDP still remains higher in the Czech Republic than Slovakia, growth is greater in Slovakia and the gap between the two closes each year. Relations between the two nations is now perhaps better than it has ever been before. There is no talk of reuniting.